Ricoh Imaging Americas Corporation today announced a new generation of high-performance Star-series lenses optimized for super high-resolution photography and high megapixel digital single-lens reflex (D-SLR) cameras. 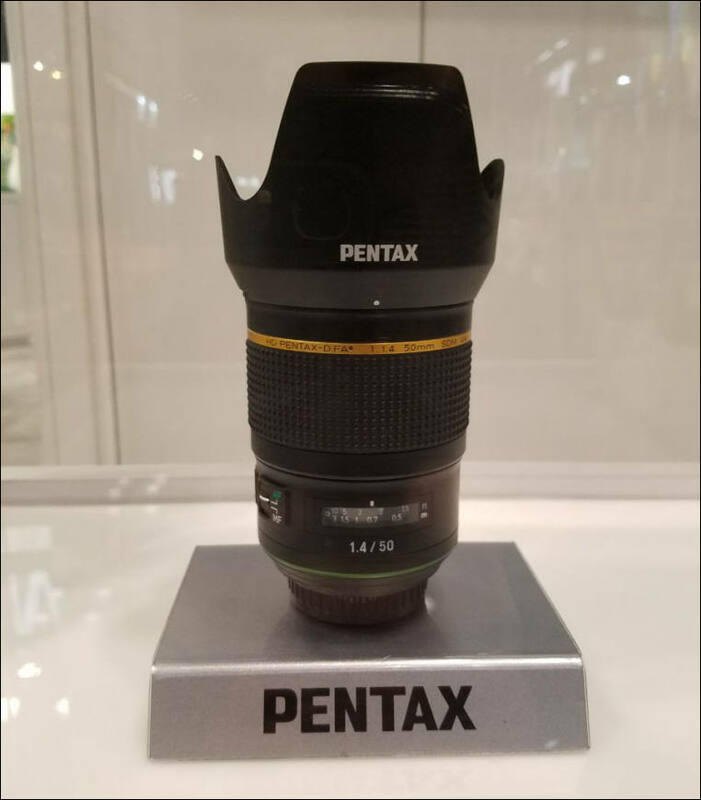 The first two lenses developed for the new-generation of Star-series quality—the HD PENTAX-D FA★ 50mm F1.4 SDM AW and the HD PENTAX-DA★ 11-18mm F2.8—will be on display as reference products at Photo Plus Expo 2017 at the Javits Convention Center in New York (October 26-28) and SALON de la PHOTO 2017 in Paris (November 9-13). Premium-quality Star-series lenses deliver the highest performance among the PENTAX K-mount interchangeable lens series, and have been highly regarded by PENTAX K-Mount users since the days of film. 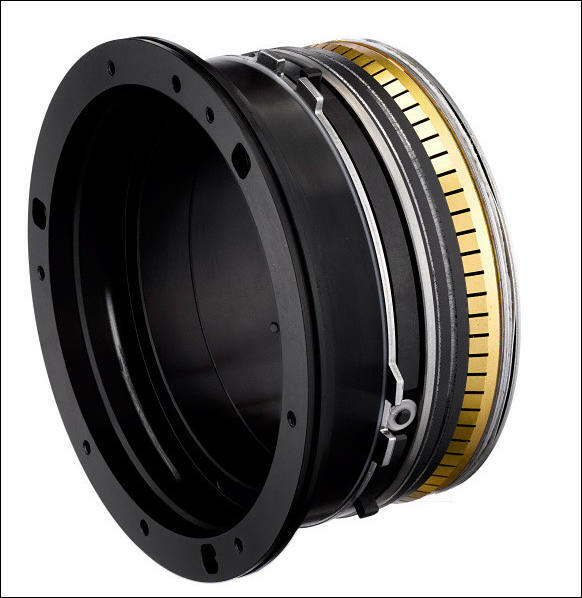 In addition to the initial design concepts of optimum image quality and large apertures for maximum light transmission, the series has embraced the additional concepts of exceptional toughness and outstanding operability, achieved through the development of a dustproof, weather-resistant construction. The resulting lenses provide superior dependability in a wide range of shooting conditions, and are the perfect companion to PENTAX SLR camera bodies. 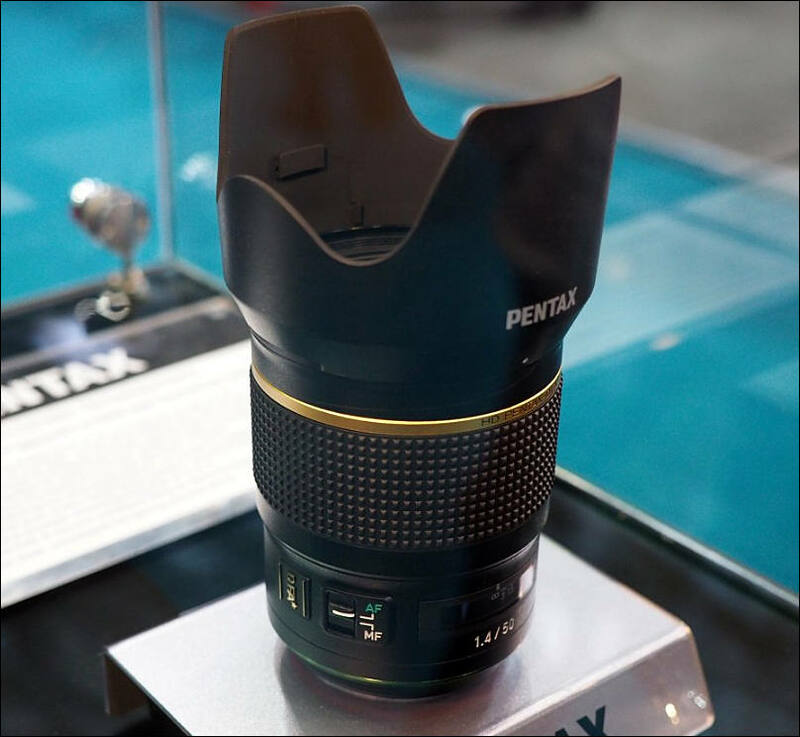 WEST CALDWELL, NJ, June 28, 2018 ****－Ricoh Imaging Americas Corporation today announced the availability of the first model in its new generation of PENTAX Star series lenses, the HD PENTAX-D FA^★^50mm F1.4 SDM AW. This large-aperture, prime lens delivers stellar imaging performance and maximum light transmission---the hallmarks of the acclaimed Star series line---and is the perfect companion to any K-mount digital SLR camera including the full-frame PENTAX K-1 and new PENTAX K-1 Mark II models. Premium-quality Star-series lenses deliver the highest performance among the PENTAX SLR interchangeable lens series, and have enjoyed enthusiastic support from PENTAX SLR camera users since the days of film. In addition to the initial design concepts of optimum image quality and large apertures for maximum light transmission, the series has embraced the additional concepts of exceptional toughness and outstanding operability, achieved through the development of a dustproof, weather-resistant lens housing. The resulting lenses provide superior dependability in wide range of shooting conditions. 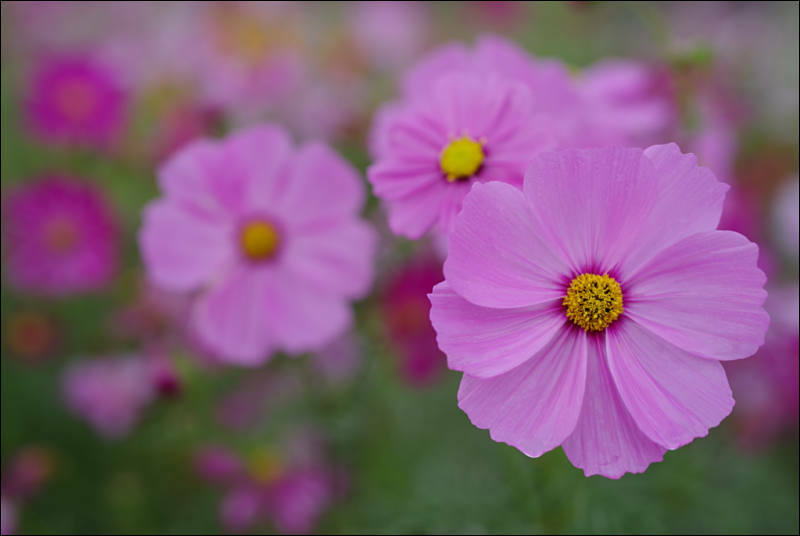 The HD PENTAX-D FA 50mm F1.4 SDM AW lens delivers exceptional resolving power from the center to the edges of the image field, even when set to open aperture. 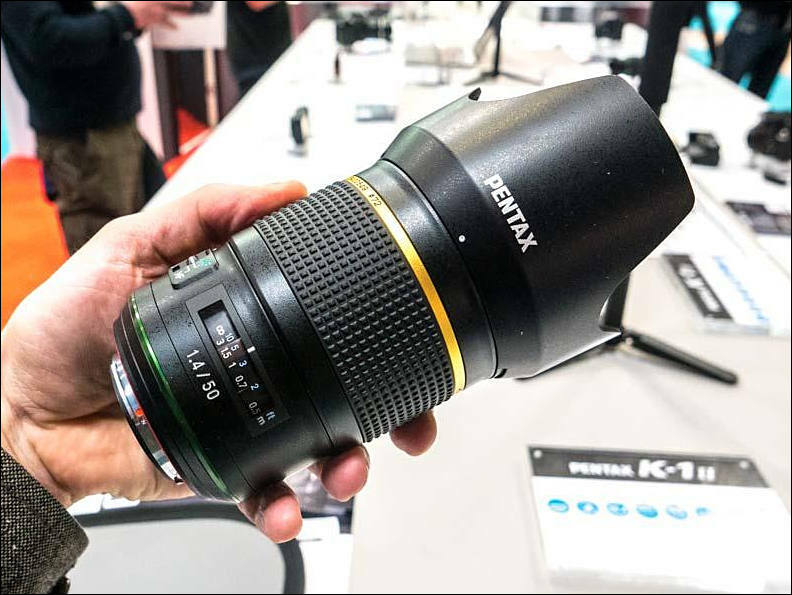 The lens incorporates state-of-the-art PENTAX-developed lens coating technologies --- including the new Aero Bright Coating II for exceptionally low reflectance and high-grade high-definition (HD) Coating --- that enable it to produce extra-sharp, high-contrast images free of flare and ghost images. The lens's dustproof, weather-resistant body also makes it extremely dependable and durable for shooting in demanding outdoor conditions. 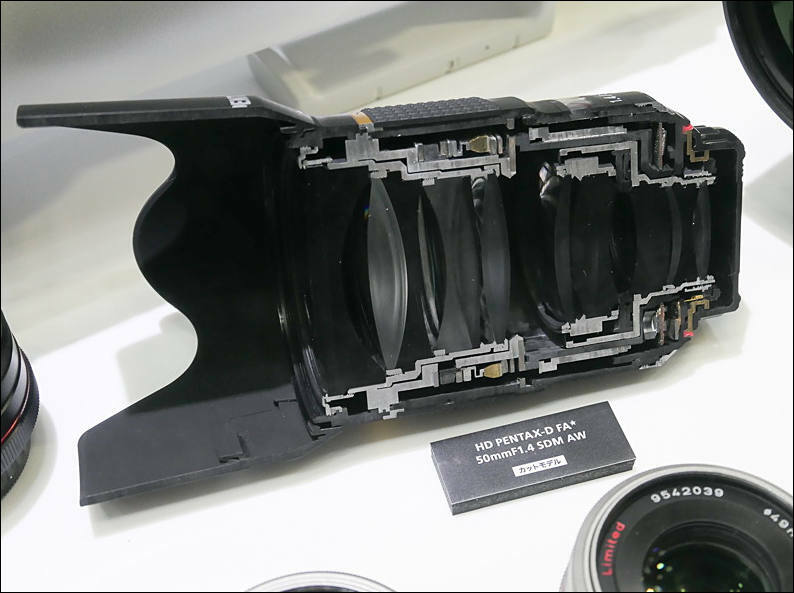 Its PENTAX K-mount covers the image circle of a 35mm-format full-frame image sensor. 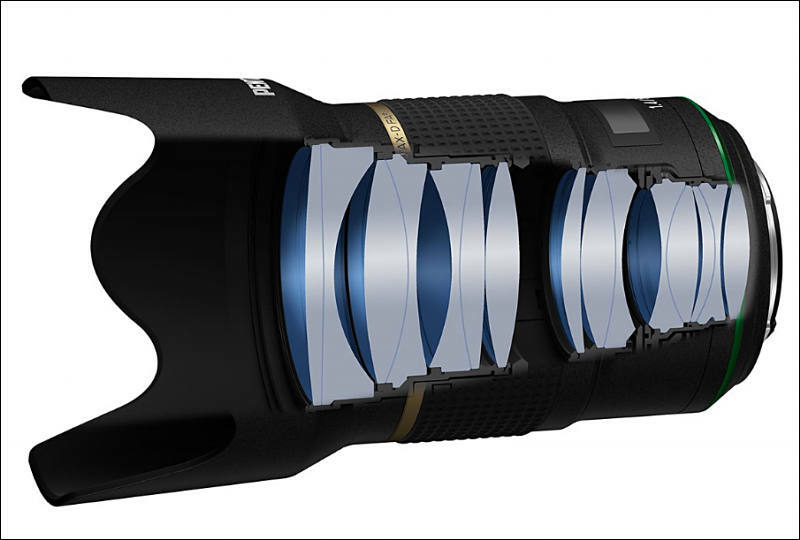 The new lens is the first produced following Ricoh's extensive review of standards for the top-of-the-line Star series. 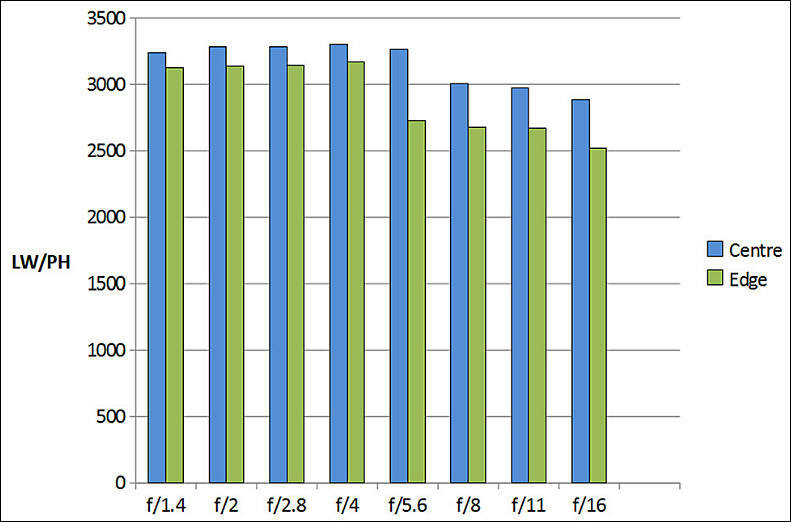 Engineers evaluated a variety of approaches to minimize aberrations and deliver the highest image quality. 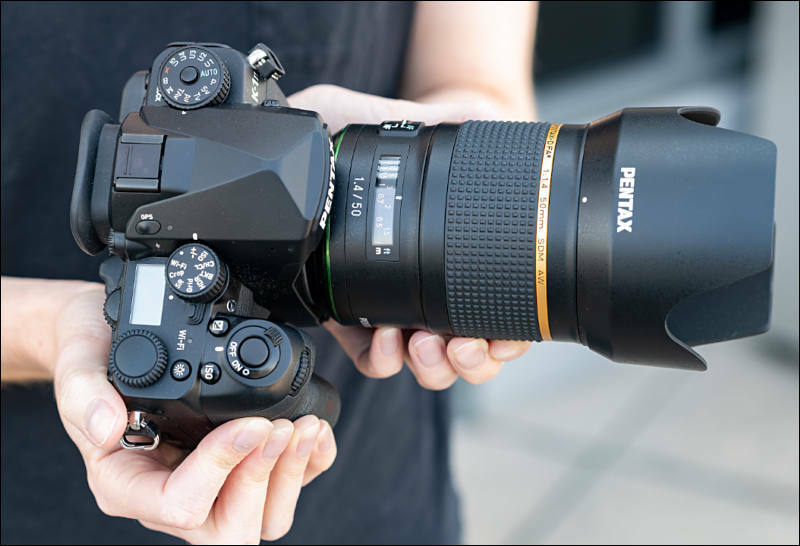 The HD PENTAX-D FA 50mm F1.4 SDM AW lens is designed to deliver optimum imaging performance with all compatible camera bodies, including next-generation digital SLRs. This lens has been developed as a new-generation member of the high-performance Star series --- a lineup designed to deliver extra-clear, high-contrast images with edge-to-edge sharpness while keeping aberrations to a minimum. The lens, which is the result of an extensive review of traditional Star-series standards, provides greatly improved resolving power, which enables it to deliver excellent imaging performance even with more advanced, next-generation camera bodies. Developed as the first model of the new-generation Star-series lenses, the new lens boasts an extra-large F1.4 maximum aperture, useful with many different subjects in a range of applications, including portraiture with an effectively de-focused (bokeh) background, and handheld shooting of indoor scenes. It provides exceptional image quality even at open aperture, as well as outstanding performance at close ranges. The lens is treated with PENTAX-developed Aero Bright Coating II --- a lens coating developed using a state-of-the-art nanotechnology process. It consists of a silica aerogel layer with a uniform porous structure over a regular multi-coating layer that reduces surface reflections across a wide wavelength range and produces crisp, high-quality images. By coupling this advanced lens coating with the high-grade, multi-layer HD (high definition) Coating, average reflectance in the visible ray spectrum is reduced to less than 50% compared to conventional multi-layer coatings. As a result, the lens effectively reduces flare and minimizes ghost images even in demanding lighting conditions, such as backlighting. The lens incorporates three super-low dispersion glass elements and one aspherical element to effectively compensate for chromatic and spherical aberrations, enabling it to produce brilliant, high-contrast images with edge-to-edge sharpness. Since distortion is minimized even at a focusing distance of approximately one meter, the lens produces crisp, distortion-free images over the entire focusing range, from the minimum focusing distance to infinity. Developed as an AW (all weather) model, this lens features a dependable dustproof, weather-resistant body with eight special seals to prevent the intrusion of water and dust into the lens interior. When paired with a PENTAX weather-resistant digital SLR camera body, it forms a durable, reliable digital imaging system that performs superbly in demanding conditions --- even in rain or mist, or at locations prone to water splashes or spray. 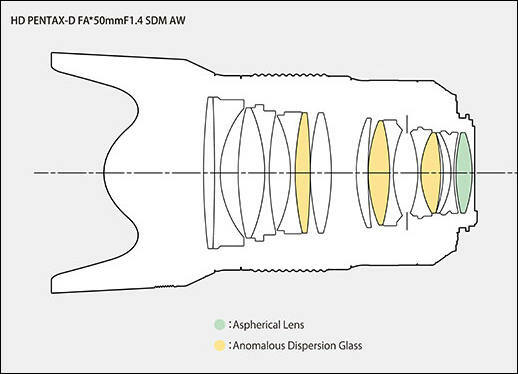 This lens features a newly developed ring-type SDM (supersonic direct-drive motor), which generates as much as 7.5 times the torque as the SDM installed in previous-generation lenses. This enormous driving power assures a smooth, high-speed shift of the heavy, multi-element rear lens group during focusing operation. 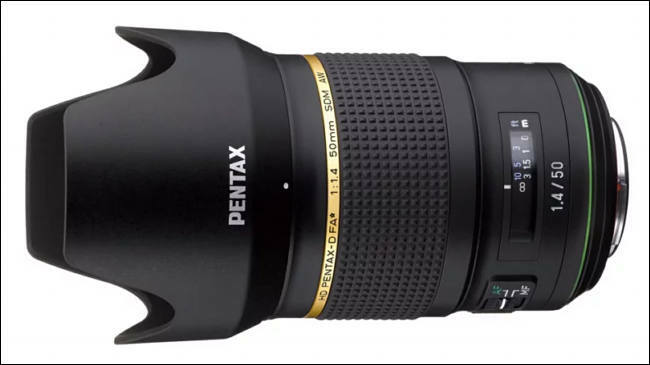 HD PENTAX-D FA 50mm F1.4 SDM AW will be available in late July 2018 at www.ricohimaging.com and retail outlets nationwide for a manufacturer's suggested retail price of $1,199.95. Pentax now try to play same old marketing card. By announcing very high orders amount and hence shortage of availability.